Why are some people more successful in business than others? Why do some businesses flourish where others fail? Renowned business speaker and author Brian Tracy has discovered the answers to these profoundly puzzling questions. In this eye-opening practical audio guide, he presents a set of principles or "universal laws" that lie behind the success of business people everywhere. Tracy provides a wealth of practical advice distilled into 100 easy-to-understand and easy-to-apply laws covering the major areas of work and business. He provides numerous real-life examples to illustrate how each law functions in the world and practical guidance and exercises for applying each to your life and work. 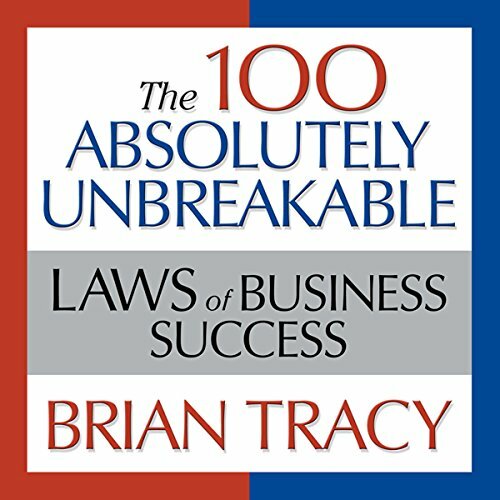 Easy to understand, and easy to apply, The 100 Absolutely Unbreakable Laws of Business Success is a straightforward, life-affirming guide to how the world of business really works.